Best Moving Price and Moving Discounts for Students! Whether you move to student dormitory or return home between semesters, the problem of moving your belongings from A to B is an ongoing concern. But it no longer will be a problem with ManVan as we have the right equipment and skilled staffs to carry out the moving process. We’re here to make the moving process easier. We offer affordable moving service for single items, bags, and boxes for students and we offer direct door- to- door service anywhere in Dublin and Ireland. 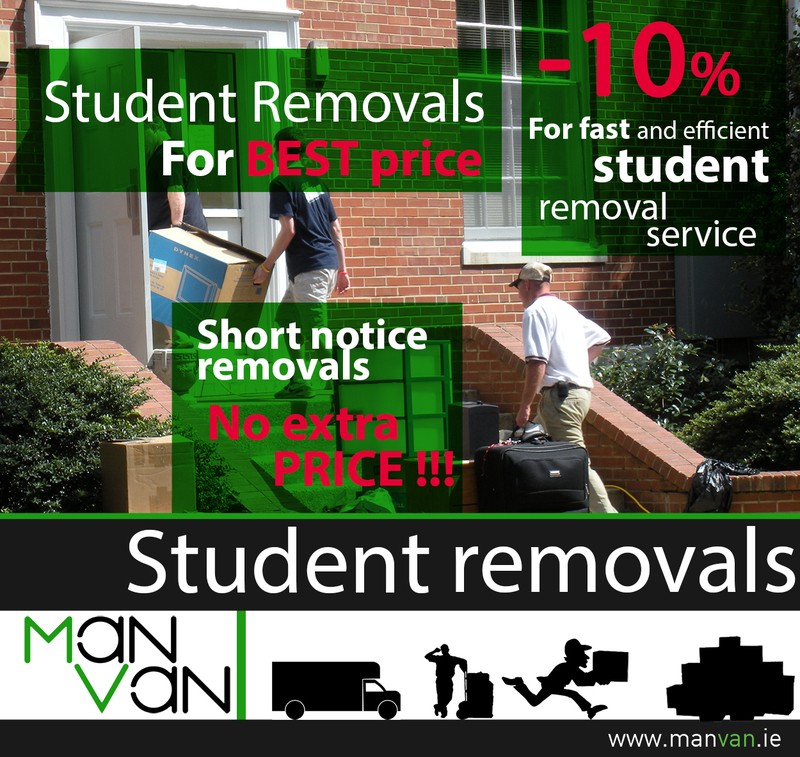 Our man with a van team always strive to give students affordable professional removal service at all times and we are committed to providing students in Dublin with an efficient and affordable moving service. Students appreciate our flexibility, which makes it easier to move affordable. We offer affordable moving prices for students because we consider that students normally have a limited budget and less mobility than working people. Man Van assures you that you receive great service at a low cost, which will amaze all our student customers. So if you plan your affordable move, choose not only a moving company but also a reliable, low- cost company ManVan. We are proud of the quality and expertise of our student removal services. We have an endless list of fully satisfied customers.